Here we have the original New York outpost of the Bobby Van’s restaurant brand. 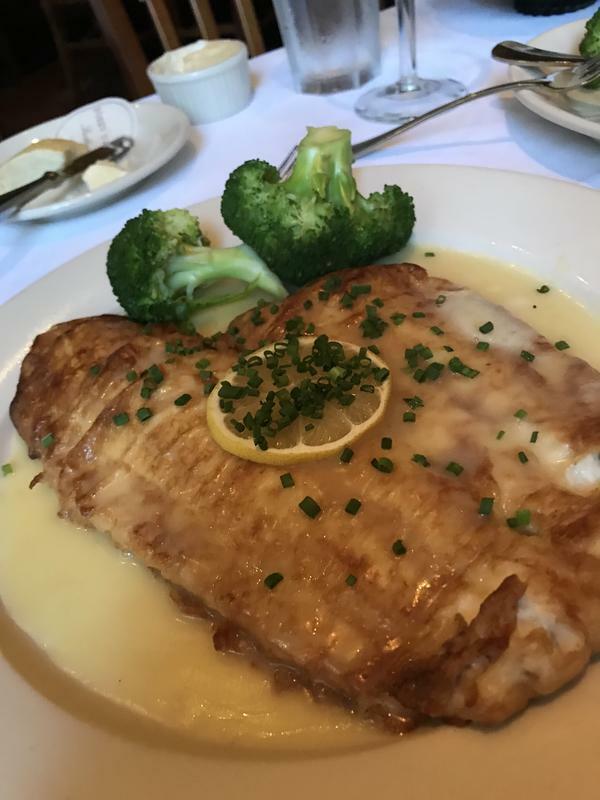 The Park Avenue location of Bobby Van's Steakhouse has been flying high since 1996, and is now operating independently of the other Bobby Van properties on the east coast. The restaurant's location on Park Avenue, on the north side of the landmark Helmsley Building adjacent to Grand Central Terminal, kind of puts it at ground zero for convenience. From here you can walk crosstown to a Broadway theater, stroll to Fifth Avenue or Madison for shopping, or hop a nearby subway to explore the burgeoning scene on the lower east side of Manhattan. More importantly, Bobby Van’s sets a standard for what a modern steakhouse restaurant can be. It’s a sophisticated atmosphere, cozy bar, and features locally sourced ingredients, friendly service, large portions, big drinks and an outstanding wine list. There’s an informality about the place that matches today’s open-collar ethos, while still retaining the conventionality that its classic menu and up-scale prices deserve. 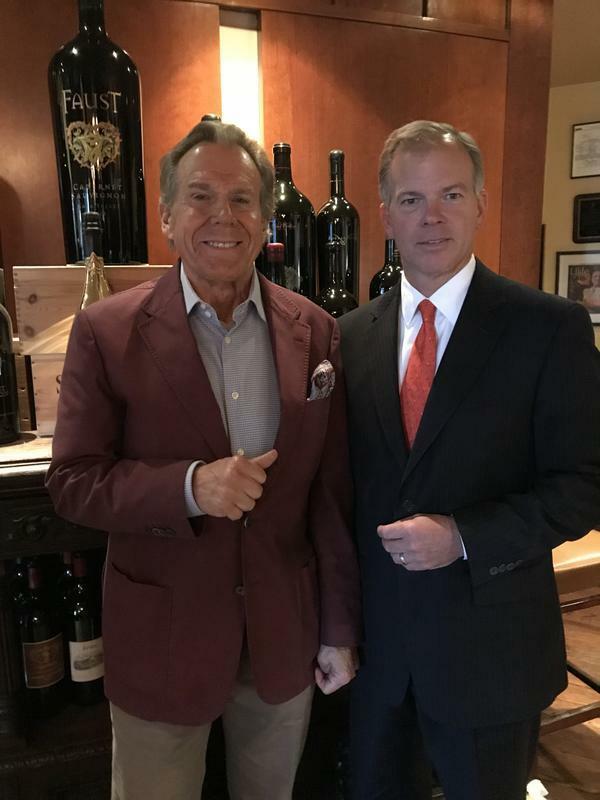 If you’re a first-time visitor, the longtime Managing Partner, the suave Philippe LeRouzic will greet you with the same warmth he displays to his regular customers. He’s the “Director of First Impressions,” and he lets you know you’re in for a good time. Jane and I thoroughly enjoyed every dish we ordered, and we ordered plenty. To start, let’s say if you think this establishment is just about meat, think again. We know the filets and sirloins to be of the highest quality. 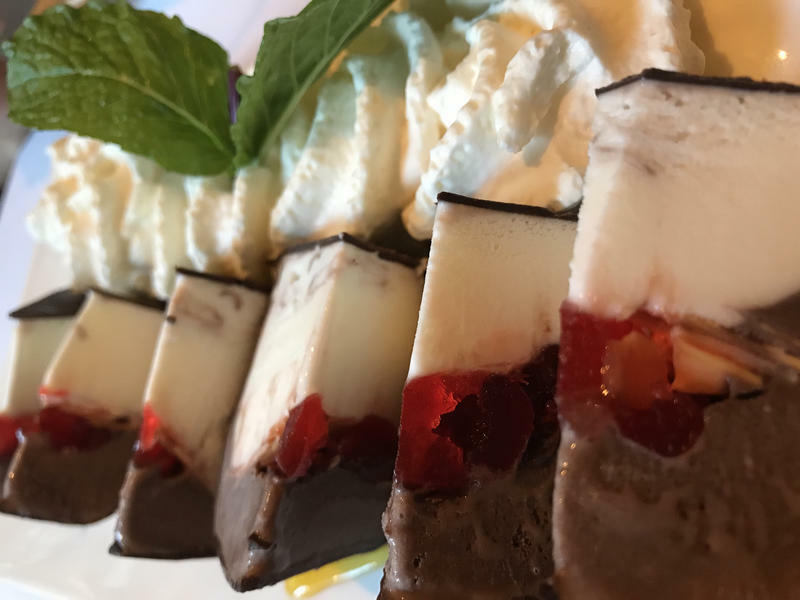 Years ago, Bobby Van’s “made its bones” (pun semi-intended) on dishes like Steak A La Stone, Porter House for Two, Three or Four, Bone-In Rib Eye, Veal Milanese, and more, so we set out to explore other menu options. Our appetizers—The Crab Cake was a perfectly cooked heaping portion of fresh Maryland jumbo lump crab meat blended with corn flake crumbs, served with a homemade Djon mustard remoulade. “How would you describe it?” Jane asked. “A true crab cake, one that others should imitate,” I said. Shrimp Cocktail was fresh and crunchy, complete with the requisite additional horseradish for tongue-burners like me. 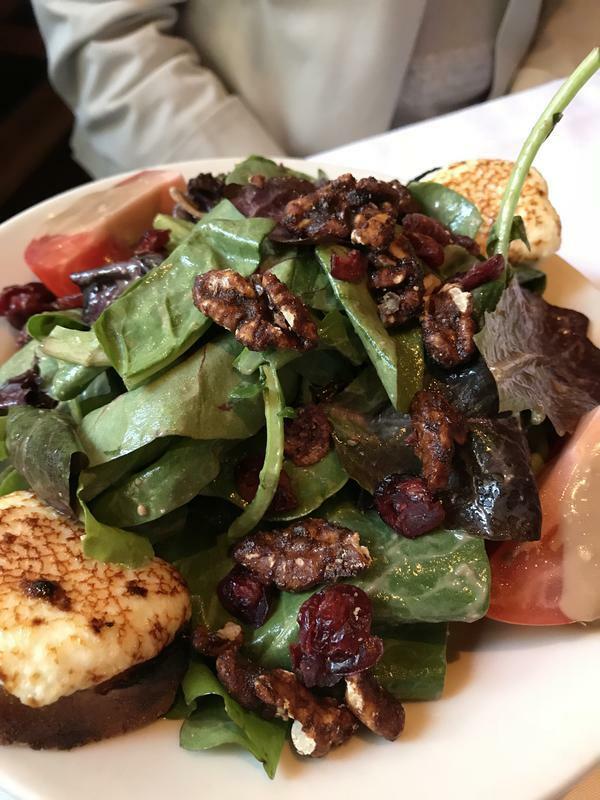 The Goat Cheese salad made with toasted local Grand Reserve Goat Cheese, cranberries, candied walnuts, fresh tomatoes and mesclun greens was a really wonderful salad. Knowing that I was interested in seafood, our waiter suggested the Chilean Sea Bass. “Just wait,” he said. I was expecting perhaps a perfectly cooked, large, but somewhat naked piece of sweet fish. But no! The dish is a complex and rewarding preparation that involves pan searing the sea bass with a tamarin and soy bean paste. It is served with a combination of sliced asparagus, baby bok choy and shitake mushrooms in a garlic and white wine sauce. The place lists some classics in traditional steakhouse style on blackboards around the dining room. 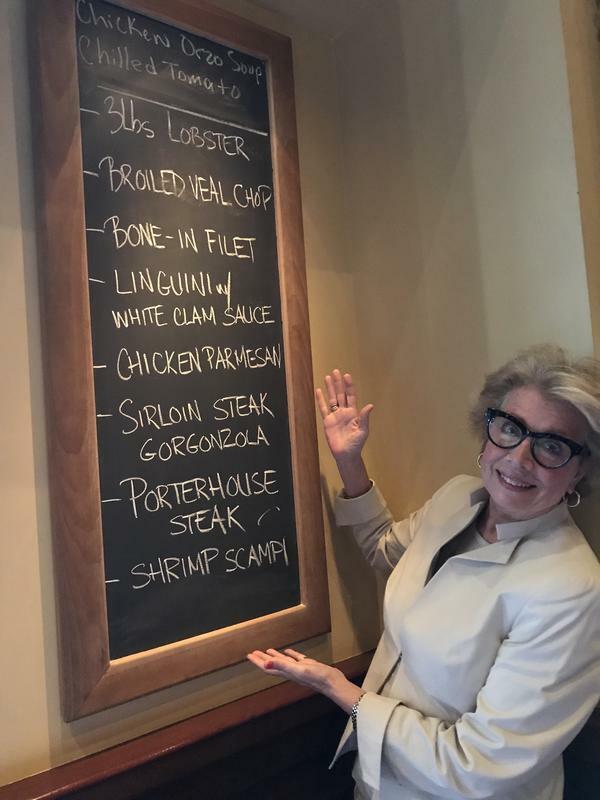 In addition to the listed menu favorites the night of our visit we saw Sirloin Steak Gorgonzola, a Three-Pound Lobster, and Chicken Orzo Soup. Two desserts left us practically cheering at the conclusion of our meal. 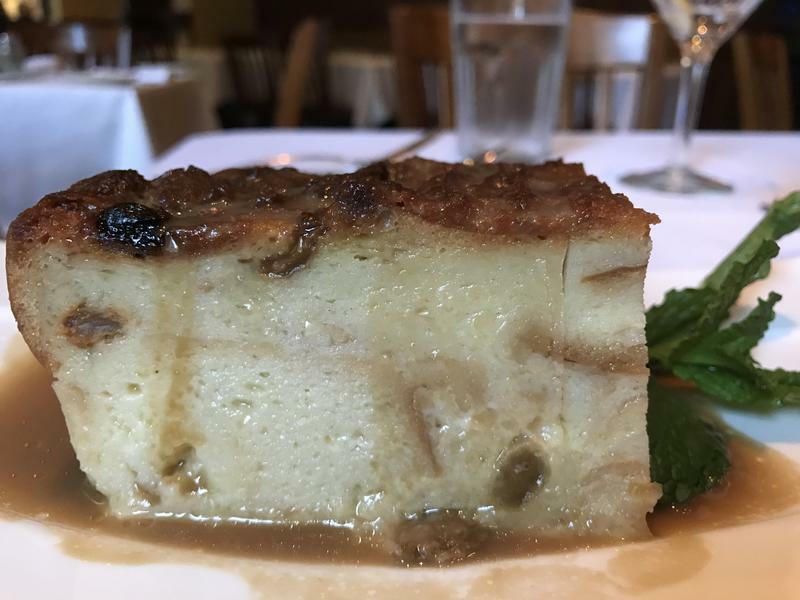 The Bread Pudding is a real Heavyweight of a portion in its appearance, with a taste that floats like a butterfly and stings like honey from a bee because of its bourbon sauce. My Tartuffo, the chocolate-coated vanilla and chocolate Italian ice cream temptation, came with irresistible made daily whipped cream--so naughty and so nice, I almost could’ve ordered it twice. What a perfect dining experience from start to finish! During your stay in New York, I hope you’ll try Bobby Van’s on Park Avenue. And after the meal, consider a stroll north on Park. This wide boulevard gives you a look at perhaps the most European in feel of all the great avenues in Manhattan. Bill with Managing Partner and your host, Philippe LeRouzic. Photo by "Lady Jane" Rothchild. "Lady Jane" at the blackboard. Photo by Bill Boggs. Jane's specially prepared Sole Francais. Photo by Bill Boggs. Goat Cheese Salad with Cranberries, Candied Walnuts, Tomatoes & Mesclun Greens. Photo by Bill Boggs. Heavyweight Champion Bread Pudding with Bourbon Sauce. Photo by Bill Boggs. Chilean Sea Bass, Bok Choy, Shitake Mushrooms In garlic and white wine sauce. Photo by Bill Boggs. Tartuffo with Fresh Whipped Cream. Photo by Bill Boggs.